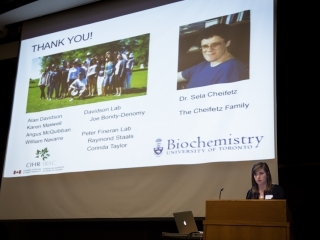 April Pawluk (Davidson lab) presents the Sela Cheifetz award talk. 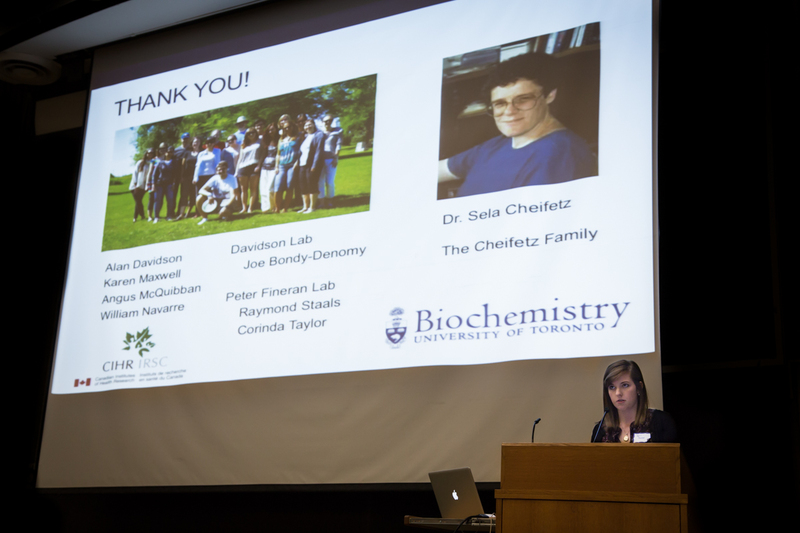 The 2015 Sela Cheifetz award for outstanding research for a Biochemistry Graduate Student was awarded to April Pawluk from the Davidson Lab. April presented her work on the identification and analysis of novel anti-CRISPR genes.